Wasabi Bistro for Lunch or Dinner! I'm not sure why I've never talked about Wasabi Bistro, but it seems to be one of those Belltown spots that was really popular when they first opened, then people sort of forgot about them, and now it seems that people are going back. Or maybe that's just been my experience! I remember going there for the first time and having the best lunch bento box I've ever had, gushing about it to the waitress. Lunch prices are very reasonable, and at the time I was unemployed so it wasn't like I could spend a lot anyway. The variety of small bites that they have is quite impressive. Last night I just went there for a drink before a show and had a mighty tasty Lychee Martini. They also do a fantastic Happy Hour, followed by a more extensive (and a bit more pricey) dinner. All their sushi seems so fresh, and I've never had a bad experience there. The staff is quite friendly, and the warm salty Edamame they serve before we eat, is a lovely bonus. 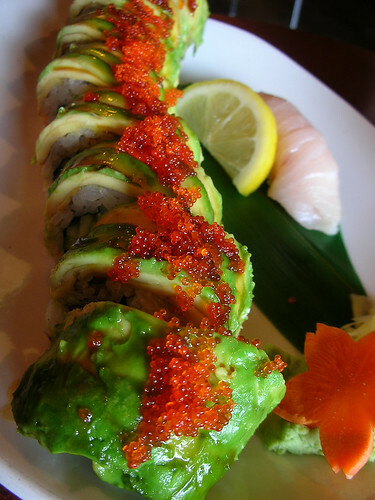 Located at 2311 2nd Ave in Seattle, if you find yourself craving great sushi, tasty drinks, and a nice open atmosphere, go to Wasabi Bistro! I love Macrina Bakery. 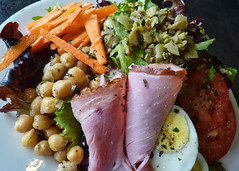 I've blogged about it before, but I'll say it again, YOU NEED TO GO HERE FOR LUNCH IF YOU'RE IN DOWNTOWN SEATTLE! It's really just a cozy small bakery, that makes really simple, delicious, and reasonably priced lunches. They even serve samples of their homemade bread with olive oil, before you get your meal. It's such a genius idea! I can't resist their potato bread, it's divine!